Candice and I met in college, when we both attended a small liberal arts school in Northern Indiana. We frequently ended up living on the same halls in the dorm and one year she was even my Resident Advisor! Candice is originally from Michigan, but is currently thrilled to be living in Virginia Beach, based in no small part on the fact that the Midwest has been slammed with freezing temperatures this winter! She has been married for six years, she and her husband have a little fur baby named Mickey, a Chihuahua mix that we rescued. Because he is a little on the old side, the rescue center gave a “senior discount”, but they love him and he is as spunky as ever at age 13! Three years into Candice’s marriage, they made a huge life change when her husband decided to pursue a lifelong dream in joining the military. He achieved an absolutely huge goal and, despite the shock it was to their family and friends, they have had the enormous blessing of seeing what it's truly like to pursue a dream. 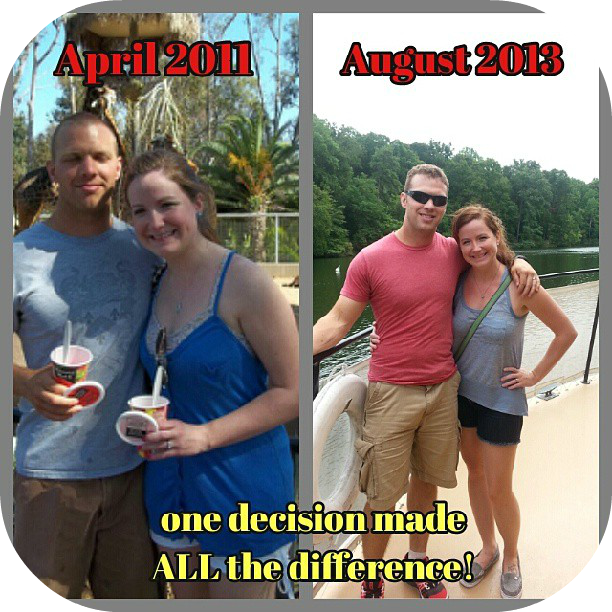 Candice decided, in the middle of all of their life changes, that she wanted a job that allowed her to be home when her husband is home (which isn't often), and that is how she found BeachBody. She became a coach and says that she could go on and on about it, but in short: BeachBody pays her to get fit, she is able to pursue her own dream in helping people, and it has inspired her to write AND cook, two things that she absolutely loves! If you are curious about BeachBody, please visit the link below, or, get in touch with Candice by commenting on this blog post. She would love to tell you all about the exciting events that are coming up! Why do you cook at home? The main reason I cook at home would be because it is MUCH easier to eat healthy AND have it taste good when I'm at home. Through a little research, I am able to make my food with seasonings instead of fatty oils, and whole foods instead of processed ones. That's very hard to do when you are eating out all the time. Have you ever had that junky feeling when you've eaten out a few days in a row? Often it's because of all the unhealthy stuff they add to it. I was just tired of feeling that way, and so was my husband. So, we cleaned up our act. However, I'm still “me”, and I need my food to taste good, and not like grass! So, I am constantly learning, using, and developing recipes that I think are pretty tasty. I also want to prove that you can eat healthy, without eating rice cakes every day, because how boring and gross would that be?! I love onions because they are whole, and (here's a little tip! ), when you use them, you don’t need to add oil to your recipe, you can cut it out completely. Because onions produce their own juice when they are sautéed, it tastes exactly the same, minus the fat of whatever oil you would have used. If you could travel anywhere in the world just to try that country or city's cuisine, where would you go? Well, I just spent two months in Thailand, and the food there is FABULOUS! If you ever have the opportunity to go, GO! The curries alone are worth it. But I digress…the one place that has always been at the top of my list is Italy. I love pasta, and I have often dreamed of going to Italy, sitting at a little cafe and enjoying a giant bowl of spaghetti. That sounds like pure heaven to me - along with their pizza....and their pastries...and coffee...I definitely need to take a trip there soon! Candice is hosting a giveaway to anyone who orders a “challenge pack” from her. If you have questions about what that is, please let me know by commenting and I will follow up with you. Candice will be hosting an online challenge group on April 7th, and when you order this challenge pack, it secures your spot in this challenge group (there is no extra charge), and you will also receive a Shakeology shaker cup, as well as your choice of a free Shakeology individual packet (any flavor!). I've tried the Vegan Chocolate flavor and have to say I was surprised at how tasty it was! Here is Candice's current favorite recipe for Vegan Taco Salad. She really enjoys making recipes that are easy and very versatile, so she's a lover of stir-fries. She is currently doing the BeachBody program: P90X3 and this is a recipe that she created which fits into her nutrition plan for the program. If you like spicy, you’ll love it!